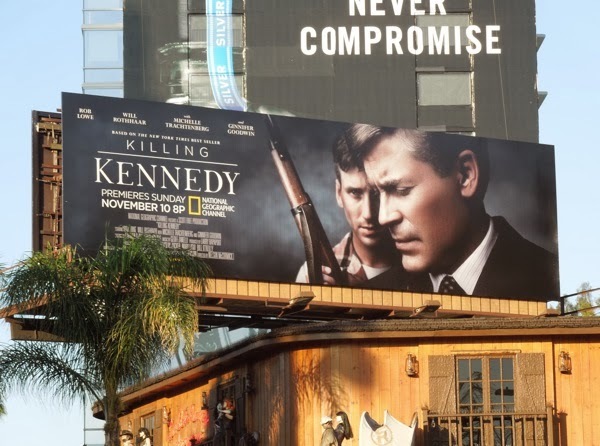 The National Geographic Channel seems to have a real penchant for killing U.S. Presidents. 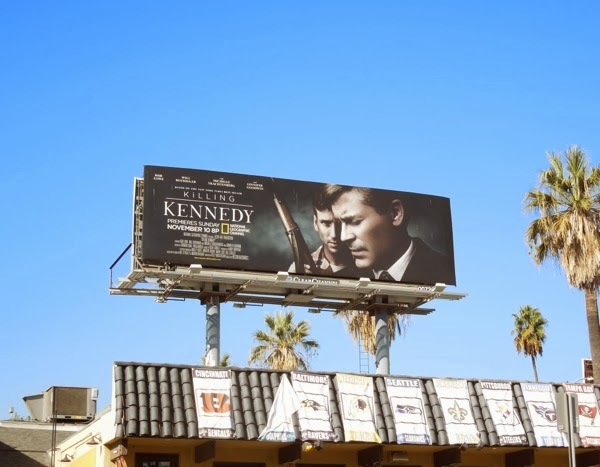 First they were Killing Lincoln back in February this year, now it's time for Killing Kennedy. 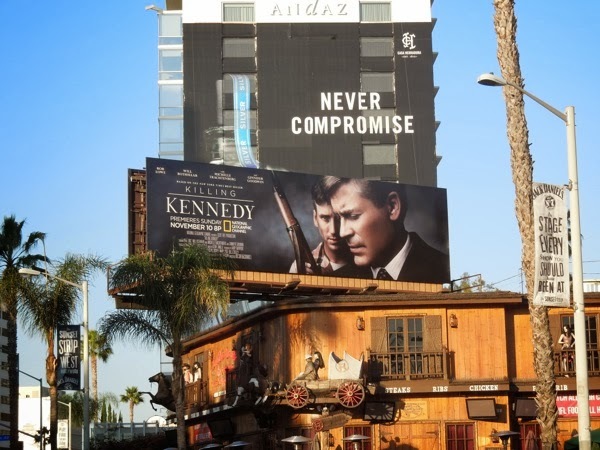 Adapted from the 2012 non-fiction book, Killing Kennedy: The End of Camelot, by Bill O'Reilly and Martin Dugard, Rob Lowe stars as 'John F. Kennedy', the 35th American President who was tragically assassinated in November 1963. 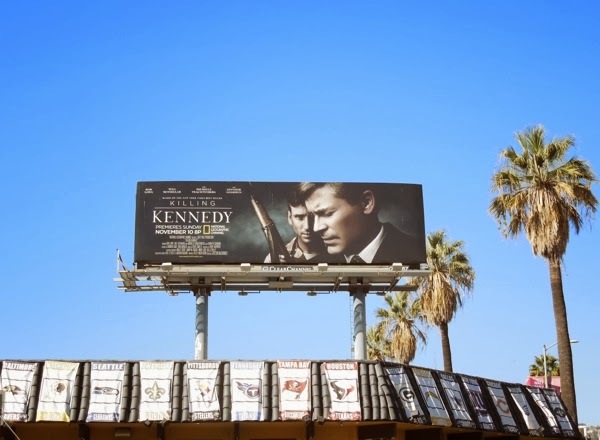 Ginnifer Goodwin also stars as 'First Lady Jackie Kennedy' and Michele Trachtenberg portrays 'Lee Harvey Oswald's' wife, 'Marina Oswald' (with the infamous shooter played by Will Rothaar). 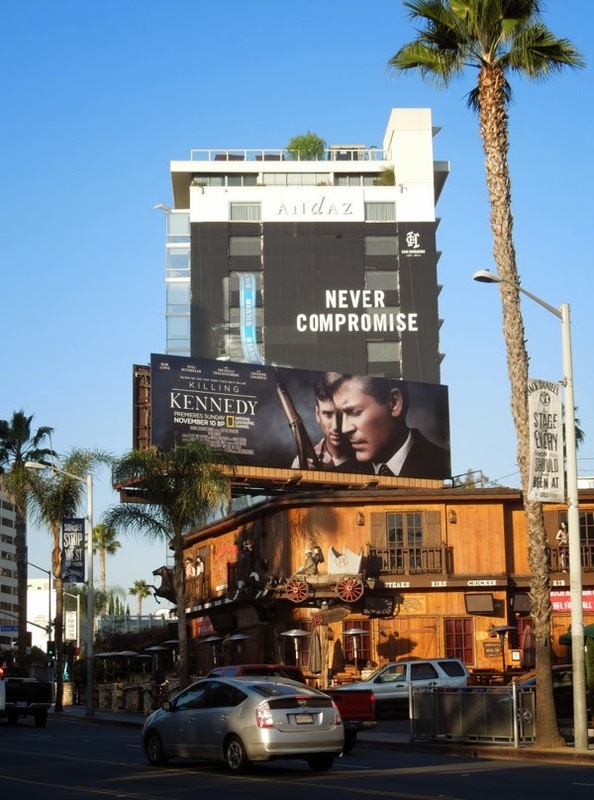 These billboards for the historical TV movie drama was spied along Sunset Boulevard over the Saddle Ranch Chop House restaurant on October 18, plus further east over the The Happy Ending Bar on November 5, 2013. If you like this ad, be sure to also check out National Geographic Channel's giant Killing Lincoln billboard.